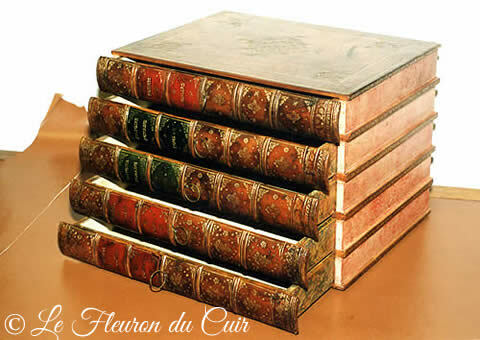 Fleuron du Cuir creates upon request storage boxes in the form of a book. These boxes are very decorative on a bookshelf. 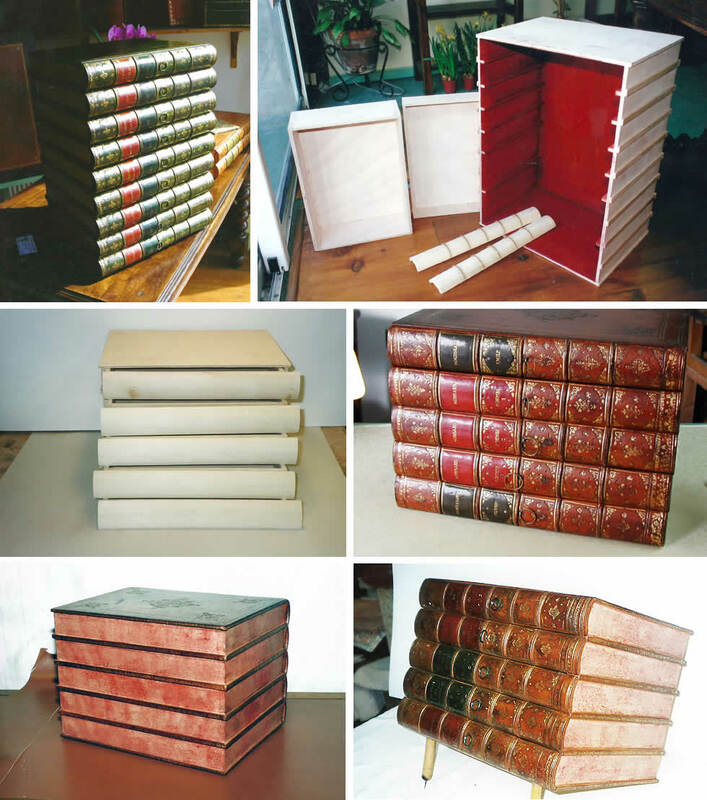 Creation of a 5-drawered box, each drawer dressed in a mock book spine, giving the illusion that five 18th century books are piled one on the other. 18th century gilding, and an elaborate patina on the leather and paper.